Paris (AFP) - Once a flagship policy of French President Francois Hollande, the 75-percent "supertax" on top earners limps into its final weeks this month having sparked plenty of controversy but few economic results. It was no surprise that the policy, which expires on February 1, would be quietly dropped: it was only ever slated to last two years and the Socialist government has for months declared it would not be renewed. 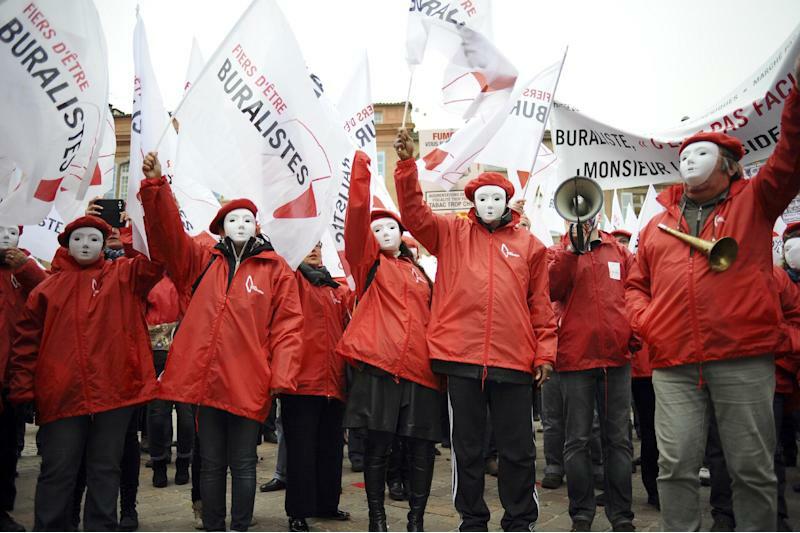 The tax had also been watered down until it was barely a shadow of the "exceptional contribution to solidarity" proclaimed by Hollande when he came to power in 2012. France's top court had declared as unconstitutional the original plan to levy the tax on all individuals earning one million euros ($1.2 million). The government came back with a version that made companies pay the 75-percent rate only for the portion of employees' salaries above the million-euro ceiling. 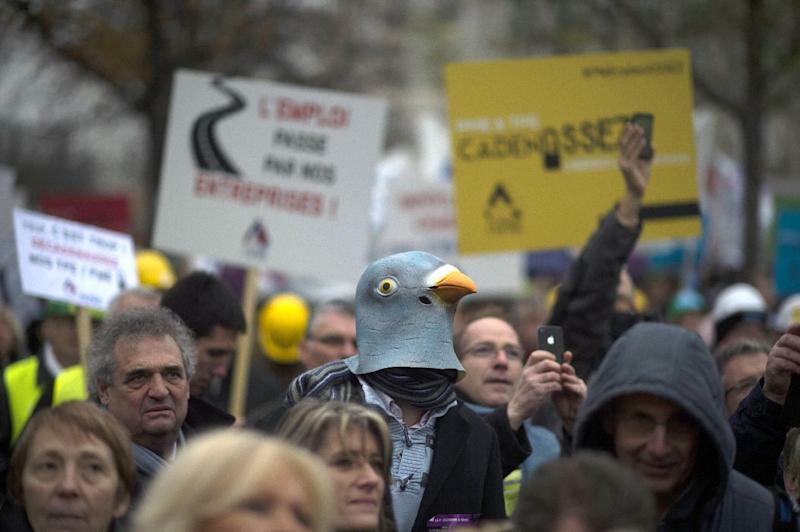 But by then, it had already become a symbol of France's opposition to big business and attracted high-profile derision. 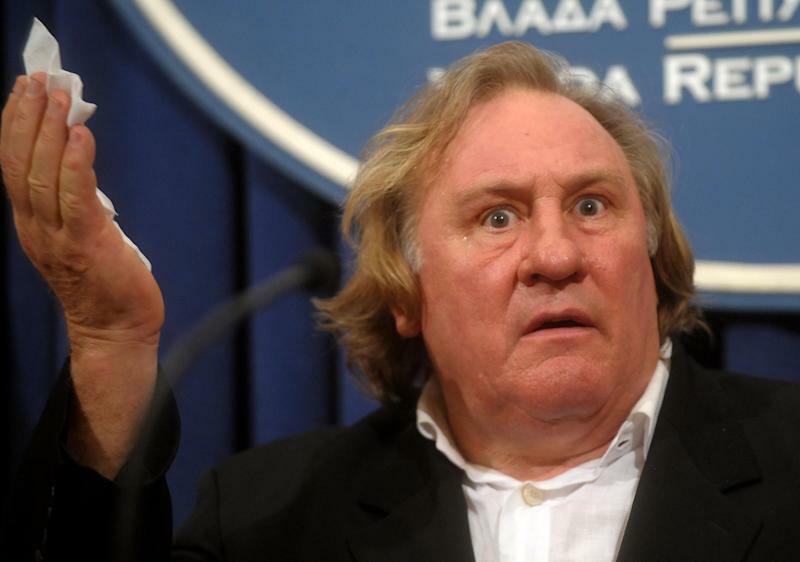 Actor Gerard Depardieu stormed out of the country in a huff over the tax and took up Russian citizenship in 2013. It was reported he only paid six-percent tax in his new home. "I am leaving because you consider that success, creation, talent -- anything different -- must be punished," he wrote at the time. French football clubs were also horrified, saying the tax made it difficult to attract top-flight talent. Clubs in Ligue 1 and 2 threatened to strike in late 2013 although they found it hard to rally much sympathy for the multi-millionaires at clubs like Paris Saint-Germain, where more than 10 players qualified for the tax. The fate of the supertax mirrored the wider trajectory of the troubled Socialist presidency, which was elected in a surge of left-wing enthusiasm but has been forced to temper its initial approach in a desperate bid to escape the country's economic quagmire. Even by its own standards, the tax was largely a failure -- the watered-down version brought in minimal revenue and did little to tackle wealth inequalities. It also had a limited impact on the government's efforts to balance its books and pay off ballooning debts. Still more damaging was the way it added to the perception of France as "anti-business", an image that was gleefully exploited across the Channel in Britain where Prime Minister David Cameron said he would "roll out the red carpet" for French executives fleeing the supertax. Facing record unemployment, a sluggish economy and unable to meet European borrowing limits, Hollande has since taken his country in a very different direction. Last year he appointed economic liberals such as Prime Minister Manuel Valls and Economic Minister Emmanuel Macron to give the impression of a France "open for business". For his Socialist party, such efforts lie somewhere between blasphemy and high treason. Hollande was forced to dissolve the government in August and fire two leftist ministers who opposed the new direction. But he appears willing to risk a civil war in his ranks to reverse the long cycle of economic disappointment that has helped his popularity ratings plumb unprecedented lows. Businesses blame red tape and high taxes for throttling economic activity, leading to a rare protest by business owners last month. "Businesses are in danger of dying," said Gerard Ramond, representing small and medium-sized enterprises at one demonstration. "This year, 70,000 businesses went bankrupt. That's 110,000 jobs gone." Hollande appears to be listening, and is pinning his hopes on a package of reforms to boost business activity -- cutting public spending and red tape, opening up "protected" professions and relaxing rules on Sunday trading. "Everything must be made easier," he said in his New Year's address. "It is necessary if we want to become more attractive, more modern, more flexible." But while the measures might strike foreign observers as small-fry, they will still face furious opposition from some members of his own party. And it is far from clear whether these efforts will make much difference to the economy, forecast to eke out growth of just 0.3 percent in the first half of 2015.